Hampton, VA – Shawn Balluzzo to some is just that guy they can’t stand who kept winning modified races out at Langley Speedway, to others he is a man who works his tail off for his business, his family, and his crew. 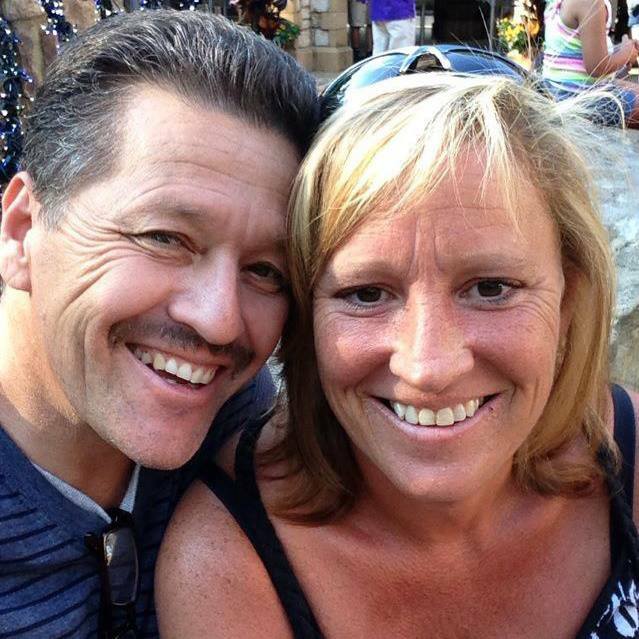 To me, the Balluzzos are like a second family, Shawn is the husband to one of the woman who stepped up and into my life when I lost my mother and the father to three beautiful young woman, one whom is like the little sister I never had along with a son who probably was my brother in some other form of life! 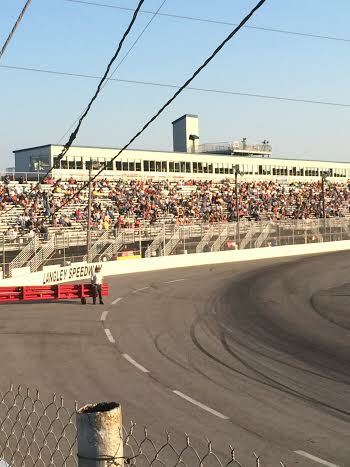 Hampton VA – Langley Speedways top two divisions were both set to run twin features this evening for The Shriners & Max Media. Two divisions with some pretty strong front-runners looking to climb up to points ladder! 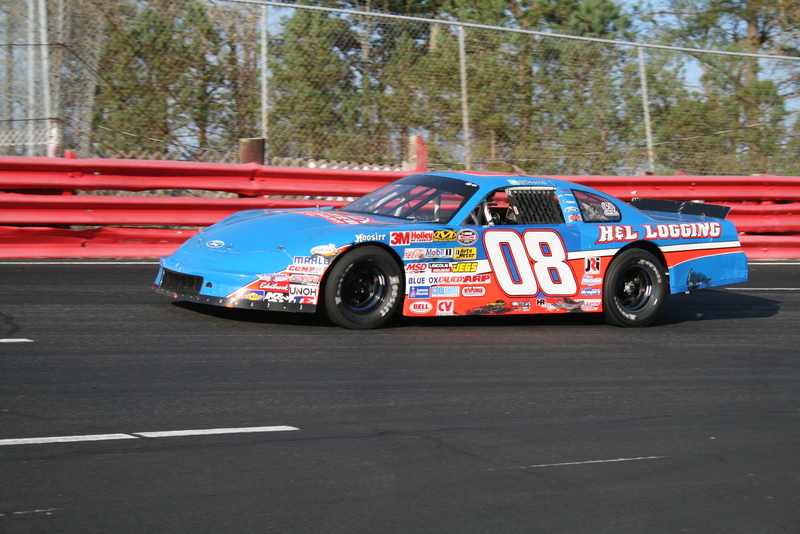 The ComServe Verizon Wireless Late Models were on the schedule for two 75 lap features where Nick Smith would set the fastest time in qualifying earlier in the afternoon and would lead the field to the green flag for race number one, of course race two’s grid will be determined by the finishing order from race one. If you have been to any races this year than you know the battle for the top three is going to be intense. I must say this because I feel more credit needs to be given to those drivers who battle for fourth spot back to seventh, you guys put on some of the best racing I have seen in years. Greg Edwards promised to make things interesting early as he had to come down pit road to fix a minor mechanical issue, he would have to start to the rear of the field. 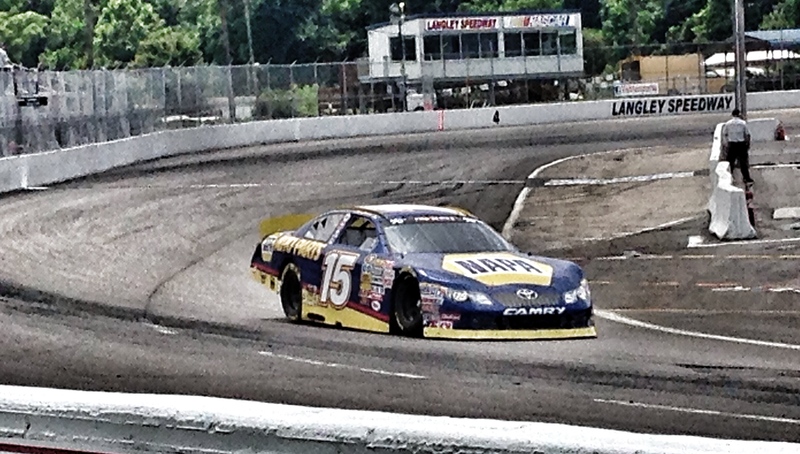 Hampton, VA (6-21-14) – The K&N cars were not the only thing running at Langley Speedway this past Saturday! Four local divisions were also called to action for their regular points races; Karts – 20 laps, Pro Six – 30, Grandstocks – 40, Modifieds – 50. If you go back and watch the races from that evening over again, which by the way you can always buy the Blu-ray/DVD or stream the replay from TM Racing Videos, you would think another full moon was in effect. Not really sure if the other drivers were excited that a national touring series was in town or just the lack of better officiating in the tower caused for some pretty interesting races. The Karts were first to kick to the night off where their high-speed tangled attempt to get around Langley, this time the race was able to go the full distance! If you remember last time a national series was in town these guys and gals couldn’t get things to work and due to excessive cautions and a time-table to follow I believe the race was cut five laps short. We did see a new face on top of the speed chart during qualifying, Rookie of the Year contender Tyler Stallings put his number six machine at the top spot with a time around 23 seconds. Angela-Marie Steele, Tommy Jackson Jr, Aaron Leach, and Josh Ayer round out your top five. Raleigh, North Carolina native Deac McCaskill was the most recent driver to join the star-studded cast of The Driver Series over the weekend. McCaskill who races primarily in North Carolina has been on a tear recently at NASCARS newest sanctioned track East Carolina Motor Speedway. Last years National points runner-up is currently sitting second in points at East Carolina (mainly due to missing a few races here lately), ninth in points at Southern National, 30th & 48th at Motor Mile and South Boston respectively. When we asked McCaskill during a post race interview about wanting to focus on National points this year he told us that he is just going to focus on running and winning races, if at some point they have a real shot then they will take it from there. As of June 15th McCaskill sits 41 in National standings with 16 starts, 5 wins (remember a few times McCaskill took the hit in the tech shed and his victory taken away). Make sure you follow the link –> #08 Deac McCaskill to get a chance to learn more of what this driver is all about! I want to take a minute to personally thank Deac for allowing me in and asking these questions and sharing them with our fans! Hopefully everyone enjoyed the interview! Hampton, VA – Missing the full moon by just one day, Langley may have seen some left over “Full Moon” mojo as some very interesting events unfolded over the weekend. After a week of rain outs, Mother Nature was kind enough to give us one day to get some Late Model action in! This was supposed to be a double-header weekend for us with East Carolina Motor Speedway hosting their Whelen Night but, heavy rain storms in North Carolina forced track officials to pull the plug early. I know it has to be tough to make that decision but hind sight is the time and money the track saved the drivers and fans. 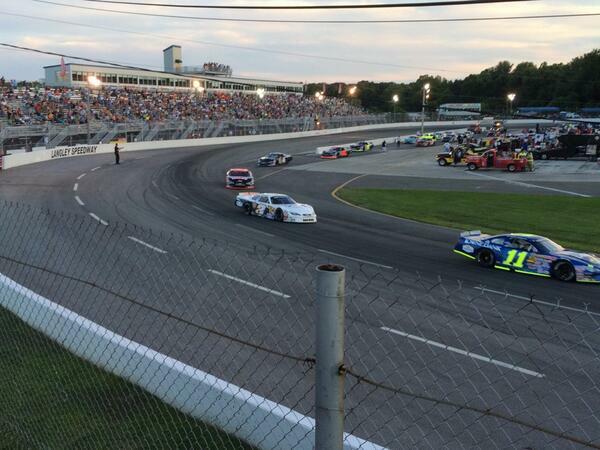 We will have to wait another two weeks to see the cars work their way around the tricky tri-oval!